The liver every day coming into contact with a hazardous toxins to be removed from our bodies. Our central laboratory has many other functions such as the synthesis of proteins, hormones and blood coagulation factors. The liver is also a storehouse of vitamins and iron. The human body is the perfection of nature, but sometimes needs our help. This is a list of foods that will keep your liver healthy. For the health of the liver, but also the entire body, you need to eat fruits and vegetables, such as bananas, tomatoes, plums and grapes. Try to eat a few almonds daily. Provide your body enough water. For detoxification of the liver are the best fresh juices of carrot, beetroot, radicchio and dandelion. Artichoke, milk thistle and burdock contains plenty of silymarin and inulin which are grat for the liver. When inflammation of the liver as a drug used milk thistle extract. Artichoke contains cynarin which is great for people who have fatty liver. The above cynarin and caffeic acid, which are found in the artichokes are extremely strong hepatoprotective effect. Artichoke is the best choice for a healthy liver. Inulin is a fiber which helps bowel movement, which is very important for optimal liver function, because each constipation or constipation, a potential danger to the liver. In addition, inulin is a natural probiotic, or food that aids the function of the good intestinal bacteria. Encouraging their growth and development and preventing the growth and development of pathogenic bacteria, inulin is often added probiotics in fermented dairy products, which can be found in stores. Garlic is a natural antibiotic. It has powerful antibacterial and antiviral effect, reduces the harmful cholesterol in the blood. Garlic contains sulfur compounds that assist in detoxification of heavy metals. Olive oil and garlic are the guarantee for good health. Fruits that are rich in pectin, such as apples and pears, effectively lowers cholesterol. Pectins are, in fact, binding of the bile acid and thus helps knockdown values ​​and decreasing liver cholesterol. Day in the body to enter about 25 g of ballast substances, therefore need to eat more fresh fruits and vegetables such as plums, citrus, legumes, oats, rice, cabbage and cauliflower. Legumes such as peas and beans are a rich source of the amino acid arginine, which helps detoxify ammonia. Ammonia occurs in our bodies daily protein breakdown and liver effectively removes him. 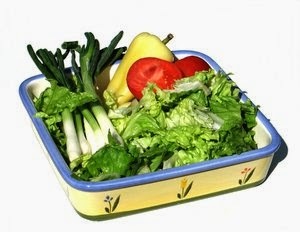 Green vegetables are a source of chlorophyll, great cleaners of your liver. Chlorophyll has antioxidant effect and protects against cancer. Very useful for liver consuming juice thistle. Silymarin from thistle has a beneficial effect on the liver. For thousands of years, the thistle is used for liver protection. Silymarin is effective in liver damage caused by alcohol and drugs, with gallstones and fungal diseases. It has strong anti-inflammatory effect. How to speed up recovery after a liver disease? What to eat for healthy liver? What is not healthy for your liver? Blog is not intended for commercial purposes, I use it exclusively for personal education. Watermark theme. Powered by Blogger. The privacy of our visitors to http://healthliver.blogspot.com/ is important to us. We also use third party advertisements http://healthliver.blogspot.com/ to support our site. Some of these advertisers may use technology such as cookies and web beacons when they advertise on our site, which will also send these advertisers (such as Google through the Google AdSense program) information including your IP address, your ISP , the browser you used to visit our site, and in some cases, whether you have Flash installed. This is generally used for geotargeting purposes (showing New York real estate ads to someone in New York, for example) or showing certain ads based on specific sites visited (such as showing cooking ads to someone who frequents cooking sites). Blog http://healthliver.blogspot.com/ does not accept any liability for damages and failures resulting from the use of the information contained. All posts are using on their own responsibility and risk. About questions, suggestions or information from posts consult an expert doctor.